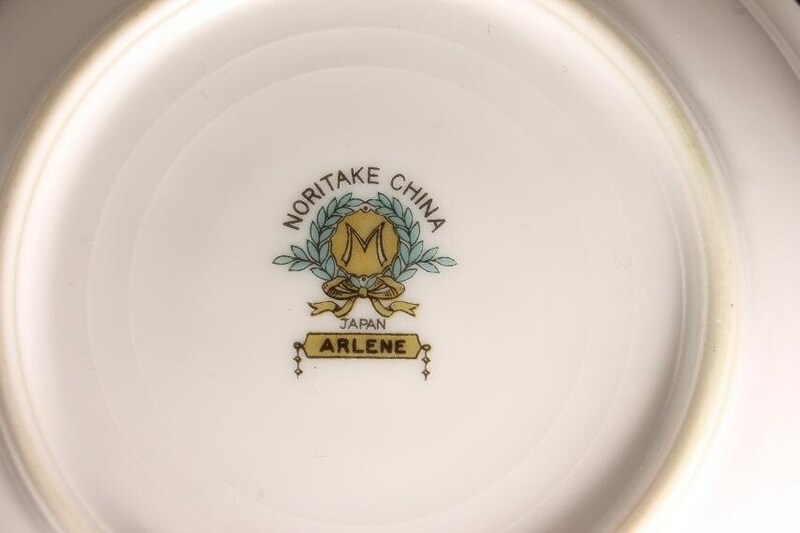 A lovely set of dessert/fruit bowls by Noritake China in the Arlene pattern. 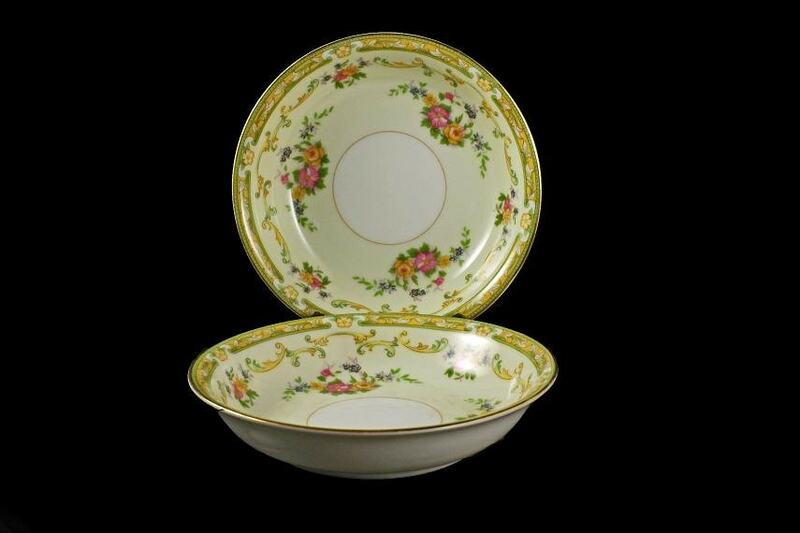 The pattern consists of a floral pattern against a light yellow background with a white center circle. 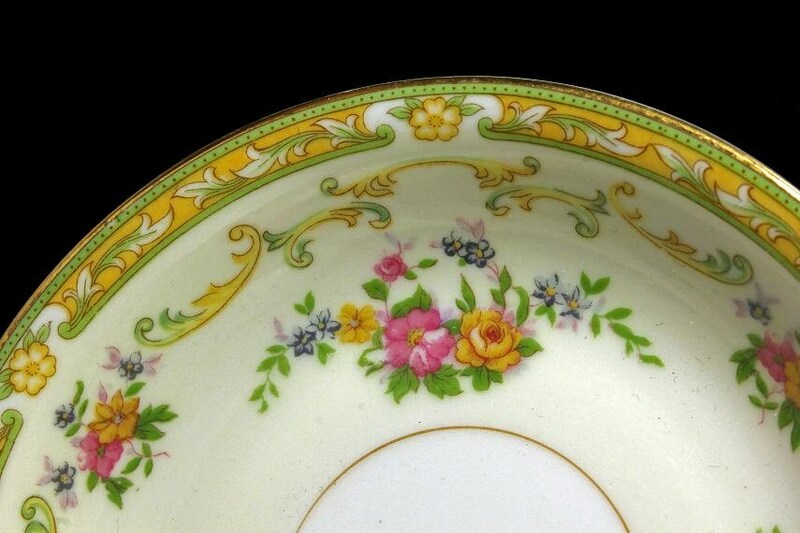 The rim has a green and yellow floral pattern. 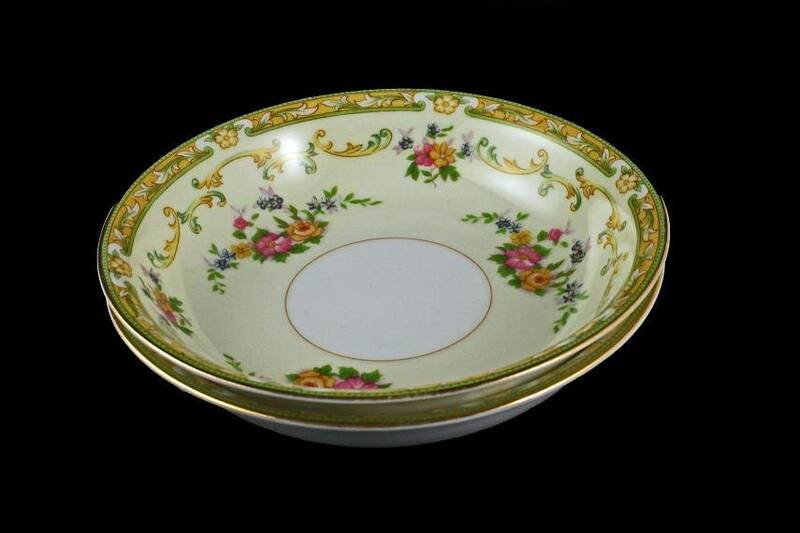 This would make a great serving bowl for sauces. salsas, or vegetables. 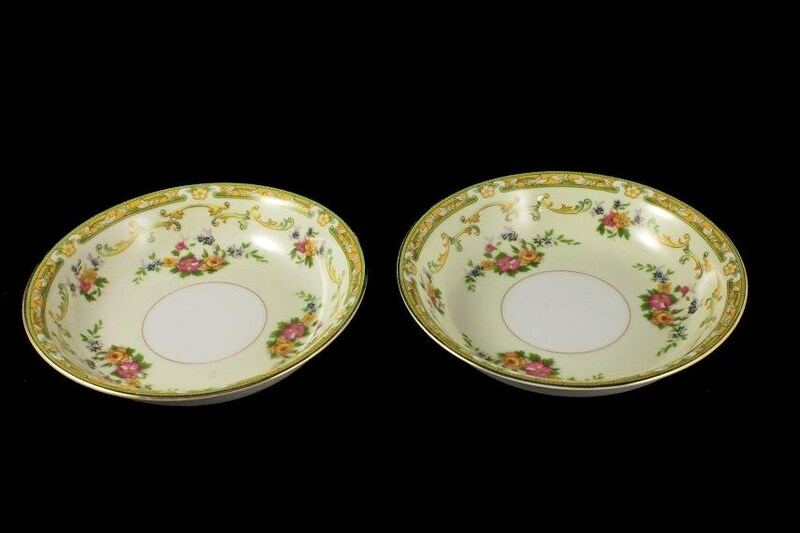 These vintage bowls are in excellent condition. There are no chips, cracks, or crazing. This piece dates from the 1930s.